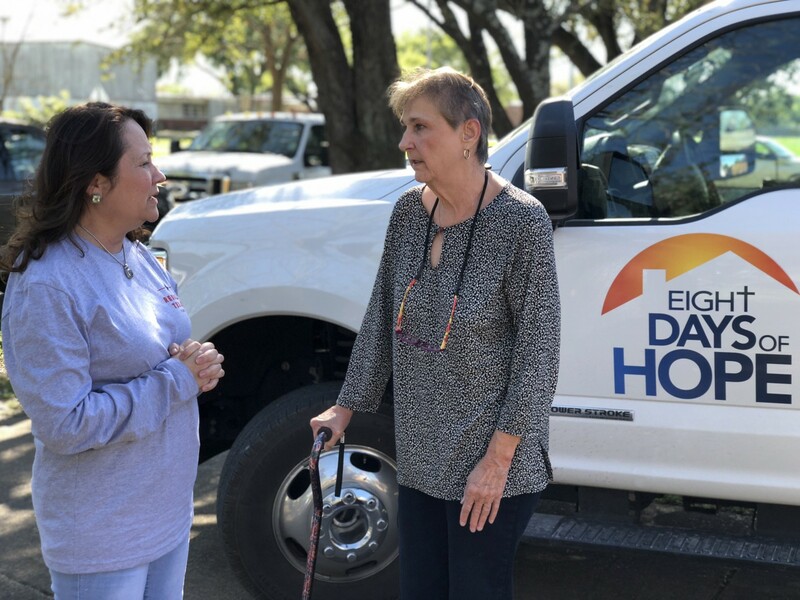 Texas First Lady Cecilia Abbott today visited a home in Southeast Houston where she joined volunteers from the Rebuild Texas Fund, Michael and Susan Dell Foundation, 4B Disaster Response Network and Eight Days of Hope in helping to rebuild a home damaged by Hurricane Harvey. During her visit, the First Lady met with volunteers helping the homeowner rebuild her home and assisted in the repair efforts. Following that, the First Lady stopped by Grace Community Church, which is serving dinner each evening to the more than four thousand volunteers assisting in the rebuilding efforts.